When I think of Kandinsky (and I do because I was an Art History major) I think of color and abstract art. 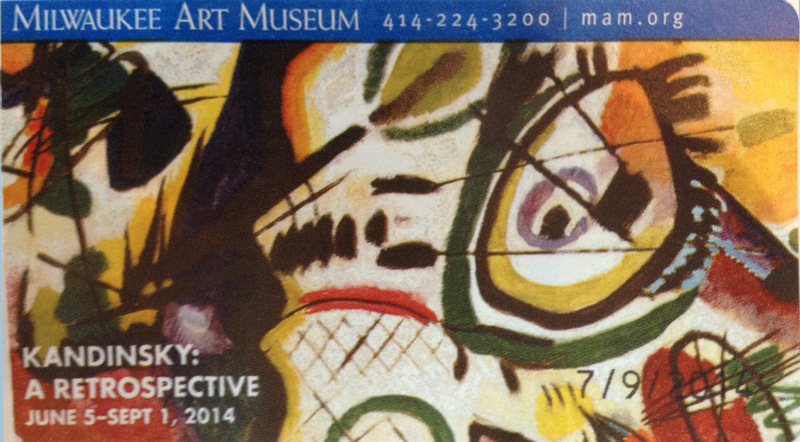 Yesterday, I went to see the Kandinsky exhibit at the Milwaukee Art Museum and I got plenty of color and abstract. I also learned something new – quite a bit actually – about Kandinsky, and I saw work that was not necessarily abstract or colorful, as well as the work of other artists of his time and his sphere. 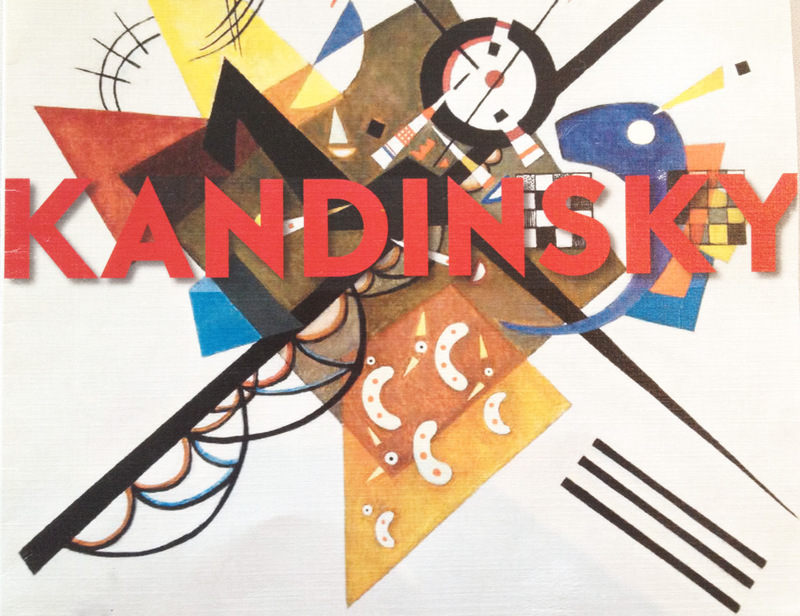 The exhibition covers all the major periods of Kandinsky’s artistic life. The progression of his thinking is revealed in the way the works change over time. The subtle differences as you move from room to room are not as dramatic as the difference between the first and last rooms, exactly what you would expect! This is from the Café Calatrava menu – inspired by the exhibit the food was delicious! about Kandinsky as well as has the treatises he wrote about what art should be (these are referenced throughout the exhibit). No photos in the exhibition, so I’ll offer you a couple of images just to whet your appetite that I took from other sources (like the menu in the Museum Café – [great lunch by the way] and the ticket stub. The ticket stub – with all the pertinent info on the show. The Kandinsky exhibit is the very very best of what MAM has ever done, at least that I have seen. I revealed in the exhibit a few times already and will be going back. Love the review!